Hello and welcome to AMV podcast NaNoWriMo Edition. I want to take a moment and check in with you. Were you able to pass your w c goal for today? Double it? Or is your home the cleanest it's ever been? If you've answered a or b, way to go! I knew you had it in you! If you strongly resonate with that third answer, then this is the show for you. Here are a few ways to find it in yourself to keep going with your novel this month. You're writing a novel. Understand that It's going to be a long process. Writers take many months to write this amount of words. Years or decades even. You're doing it in a single month. You are not alone. Right now someone else, very likely in your town, is sitting down staring at a blank page willing their hands to keep writing their novel. You want them to continue, don't you? I want you to continue. You can do it. So many people have tried before they even got started. You've already come this far. Keep going. You are the only one who can write your story. People want to hear what you have to share. But they can only do that if you write it down, and you can only write it down if you take the time and write it. Right now. It's time. Take a few minutes to look at some social media sites. Use the search phrase "NaNoWriMo" to find groups and pages filled with motivation and encouraging words. 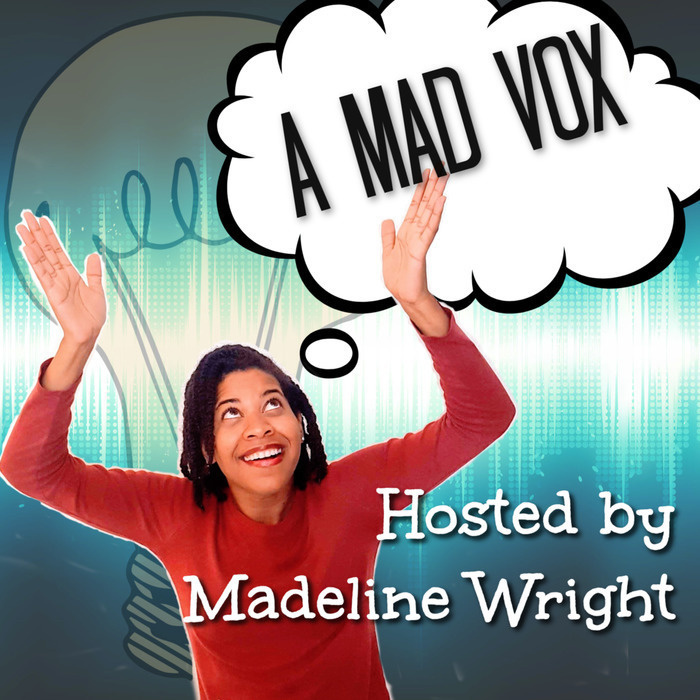 Follow @amadvox on Twitter for reshares and encouragement from/for #NaNoWriMo participants. I'm curious to know what keeps you motivated? Let me know on Twitter by using the hashtag #amadvox and I'll check it out. Tomorrow is another day. Another chance to take your novel to new heights and write your story. So many people are doing NaNoWriMo around the world. You may know some of them. They want to share their novels and they want you to be able to share yours. Do it for them. Finally, there's one reason for motivation that is uniquely yours. The only novel that can capture that voice is the one that you write. It's what made you take on the challenge in the first place. Because you had the thought that you could. And you can. And I hope you continue to give it a try. Here's to getting more words down tomorrow than you dreamed possible. Let's connect. Apple Podcasts (A.k.a. iTunes), Stitcher app, Google Podcasts, Spotify, and RadioPublic.